Truth Wins Out (TWO) released an exclusive video statement today from two former clients of “ex-gay” life coach Alan Downing. The clients, Ben Unger and Chaim Levin, alleged that during individual therapy sessions, Downing made them undress in front of a mirror and touch their bodies while the significantly older therapist watched. Unger and Levin call the sessions a “psychological striptease” and believe they were harmed by what they consider unprofessional behavior and sexual misconduct. Downing, who admits he is still attracted to men, is a major player in the “ex-gay” industry and a practitioner of so-called “reparative therapy”. He is the lead therapist for Jews Offering New Alternatives to Homosexuality (JONAH) and is listed on the People Can Change website as a “Senior Trainer” for Journey into Manhood, which is a controversial “ex-gay” backwoods retreat designed to supposedly make gay men more masculine. 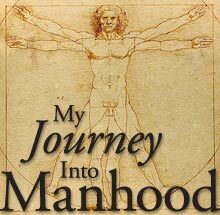 “Journey into Manhood”? Hmmm… Where have we heard that before? Ted Cox is a Sacramento writer who follows the gay “conversion” movement: Organizations that claim to “cure” gays of their homosexuality. This concludes our week of excerpts from his report of an undercover visit to a weekend retreat held near Phoenix last year. The entire article is available online. Some details have been altered to protect the identities of participants. My carpool piles into our vehicle and we cruise away down the road that, thanks to the rain, is slowly turning into slop. I turn on my cellphone, and as soon as I can get a signal, text friends and family that I am alive, safe, and headed for the airport. Ted Cox is a Sacramento writer who follows the gay “conversion” movement: Organizations that claim to “cure” gays of their homosexuality. This week we’re running excerpts from his report of an undercover visit to a weekend retreat held near Phoenix last year. The entire article is available online. One-by-one, the “Journeyers” (as participants are called) in our small group take turns reenacting painful childhood memories. Jason, a baby-faced, barely-out-of-college guy, struggles for a minute to come up with something. Then, finally, he half-heartedly recounts the time he tried to get his dad’s attention. But Dad rebuffed him, saying that he was busy reading the newspaper. “So what message did you internalize from your dad that day?” prods the “Guide,” a staff member. Early in the evening, staff members reenact the classic children’s tale Jack and the Beanstalk, with different staff members playing the different roles. The story, a narrator explains, is loaded with coming-of-age​ symbolism. Fatherless Jack has lived in the safe, feminine world under his mother’s care; the old man in the village represents ancient tribal elders who help boys transition into manhood; the seeds given to Jack represent both his sperm and the masculine potential for creation. Like most women, Jack’s mother doesn’t understand the importance of the seeds, so she chucks them out the window. The reenactment ends with Jack sent to bed without supper. After all, he screwed up his masculine duty to provide food for his family. Much like Jack’s adventure, Journey into Manhood is the initiation into the mysterious world of heterosexual masculinity that has supposedly eluded us for so long. But as I look at the men filling in seats around the lodge room, especially the men who appear to be in their late 50s, I wonder: Have they never felt like men? We waste no time jumping into the exercises. The Friday morning of the retreat, I double-checked my bags to make sure I didn’t pack anything that might divulge my true identity or my secular tendencies. Stricken from the usual weekend-getaway packing list: My iPod, for the Rage Against the Machine and Immortal Technique albums, and my current reading list — Karen Armstrong’s The Bible: A Biography, and Tom Wolfe’s The Electric Kool-Aid Acid Test. Before flying out of my hometown of Sacramento, I sent the camp location and phone number to a handful of friends. I told them that if they didn’t hear from me by Sunday night, they should contact the authorities. I did fear a bit for my safety: I worried what would happen if I was, well, outed. The flight stopped over at LAX, where a blinking cockpit light forced passengers to switch planes. So by the time I touched down in Phoenix, I was almost an hour late. I rushed through the baggage claim looking for Robert, my carpool driver. In the days leading up to the retreat, PCC (“People Can Change,” the sponsor) arranged for men driving from close locations or arriving at the airport at close times to ride together to camp. Since I paid almost $900 in camp fees and airfare, my wallet was happy to avoid renting a car for the weekend. Ted Cox is a Sacramento writer who follows the gay “conversion” movement: Organizations that claim to “cure” gays of their homosexuality. This week we’ll be running excerpts from his report of an undercover visit to a weekend retreat held near Phoenix last year. The entire article is available online.